The Duke and Duchess of Sussex, Prince Harry and Meghan Markle have released three official photographs to commemorate their royal wedding. Their fairy-tale wedding was held in Windsor, following by a lavish reception hosted by Prince Charles, and the bride wore a wedding gown by Givenchy and a Stella McCartney dress for the festivities that followed. 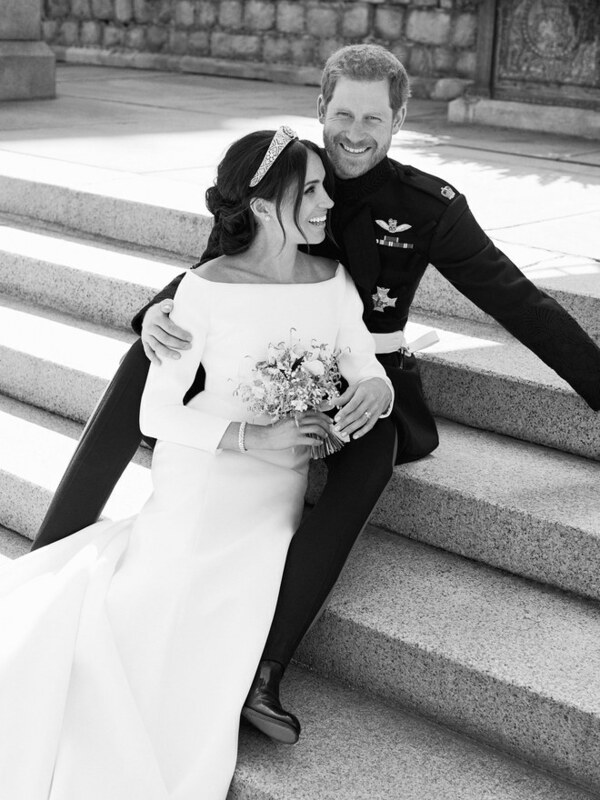 The official portraits were taken in Windsor Castle's Green Drawing Room by acclaimed photographer Alex Lubomirski, who also shot the official engagement photographs. 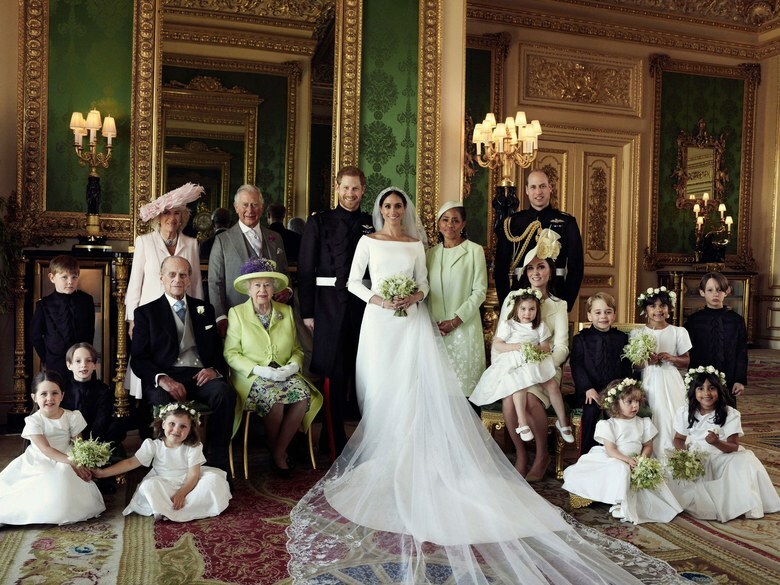 The official wedding photographs were taken right after Harry and Meghan's carriage ride, and one shows the newly wed couple with the Queen and the whole extended family including Prince Philip, Prince Charles, Camilla Parker Bowles, Doria Ragland, Kate Middleton, Prince William, Prince George, Prince Charlotte, and the rest of the pageboys and bridesmaids. 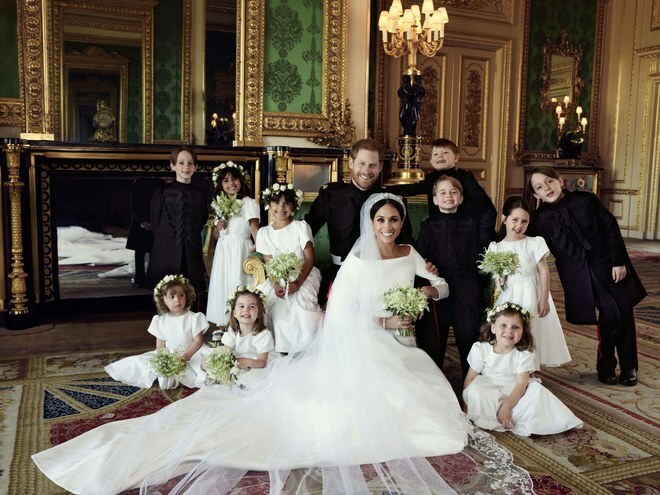 A smiling Charlotte sits on her mother's lap, while Prince George grins next to her, while in the second picture the bride and groom are seen with their adorable ten child attendants. The third picture is a monochrome and intimate snap of the couple on Windsor Castle's steps, with Meghan sans veil and holding her handpicked bouquet of flowers. Prince Harry and Meghan Markle's wedding was one of a kind event with a mix of cultures and traditions, and the couple made sure to remember Diana throughout the ceremony.